Royal Ascot is Flat racing’s most prestigious meeting and takes place each year in mid-June. It attracts some of the best horses and jockeys from around the world and is famous for its place in the racing and social calendar. It is the ultimate in quality and style and provides unparalleled racing and hospitality. It is the event of the summer calendar, steeped in tradition, heritage and pageantry dating back to 1711. 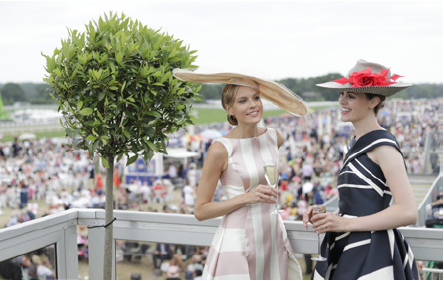 The Royal Meeting attracts over 300,000 racegoers each year to view the splendor and colour of five days of the finest racing, and fashion. The quality of the horse racing at the Royal Meeting is simply outstanding. 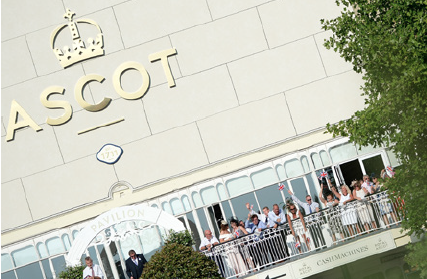 2013 will become the stunning backdrop to a unique and prestigious model search to find ‘The Face of Ascot’. Each day of the meeting, which this year runs from Tuesday June 18th until Saturday June 22nd, contains at least one feature race, with three prestigious Group 1 contests kick-starting the opening day. The Queen Anne Stakes, for milers aged four and above, starts proceedings on Tuesday and features the unbeaten wonder-horse that is Frankel. Next is the King’s Stand Stakes – a thrilling 5f sprint recently dominated by overseas raiders, especially from Australia. The final Group 1 on Tuesday is the St James’s Palace Stakes, another 1m race, this time for three-year-olds only. This race is a traditional target for 2,000 Guineas winners from Britain and Ireland. Wednesday’s feature is the Prince of Wales’s Stakes, which is contested by four-year-olds and older over 1m2f. Along with Saturday’s Golden Jubilee Stakes – renamed the Diamond Jubilee Stakes this year to mark the Queen’s milestone – it is the most valuable race at Royal Ascot, worth £500,000. The highlight of Royal Ascot is the Gold Cup, run on the Thursday. Staged over 2m4f, the race is the longest Group 1 in Britain and is contested by the best Flat stayers. Yeats notched four consecutive victories in the race before being retired in October 2009, with Rite Of Passage picking up where he left off in 2010 before Fame And Glory returned the trophy back to Ballydoyle last year. We only list current best priced options but have access to the best range of facilities and options on the market, Contact us for full listings. Named after the famous Landaus that transport Her Majesty The Queen to Royal Ascot, Carriages Restaurant offers dramatic views of the home straight from its spacious elevated balcony. Carriages Restaurant will highlight the ceremonial associations with Royal Ascot, and with great food and excellent services. Intimate restaurant on the top floor of a luxurious Royal Ascot marquee with elevated race viewing. Large decked balcony complete with relaxing lounge-style furniture and breathtaking head-on views down the finishing straight. Stylish restaurant interior perfect for entertaining friends or colleagues. modern classic in the making. The menu will showcase a blend of formal recipes, modern techniques and theatrical twists to enhance the relaxed atmosphere. Spacious restaurant on the first floor of a light and welcoming Royal Ascot marquee. Private veranda, with attractive outside seating areas, just metres from the track. Clear, elevated views of the Royal Procession and the crescendo of the racing action along the Home Straight. Access to the Queen Anne Enclosure facilities a short walk away, adding even more to the unique experience that is Royal Ascot. Sweeping views across the Plaza towards the Parade Ring with Italian Champagne reception. Queen Anne Enclosure access. Reserved table for the day (private tables of 10 & 12, or shared tables for smaller groups). The historic Pavilion Restaurant, with sweeping views over the lawns,offers a vibrant environment from which to enjoy excellent food, the finest hospitality and top-class racing at Royal Ascot. 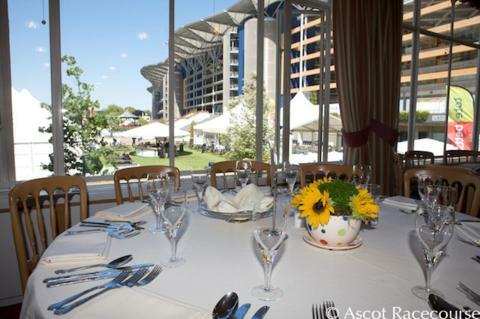 Large restaurant, ideal for corporate groups and parties to enjoy the Royal Ascot experience. Access to the Parade Ring, Grandstand and track to soak up the atmosphere and watch the racing. The ultimate spot to enjoy Royal Ascot’s traditional singing around the Bandstand. Complimentary bar including beers, selected wines, spirits and soft drinks. Champagne available to purchase throughout the day. The Restaurant in the Village offers a lively celebratory experience, featuring colourful interiors and inventive dining, with great views of the racing. Private viewing area overlooking winning posts, the closest hospitality area to the action. Village Enclosure access. Reserved table for the day (private tables of 10 or more, smaller parties will be placed on a shared table). A touch of quintessential Ascot theatre for guests looking for something a little different. Breathtakingly close to the action, the iconic grandstand offers a magnificent backdrop for every race. Private viewing enclosure just metres from the Winning Line, the perfect spot to watch the Royal Procession. Guests can enjoy all the entertainment that the Village Enclosure offers and there is the option to join the Villiers Club from 6pm for those wanting to stay into the evening. 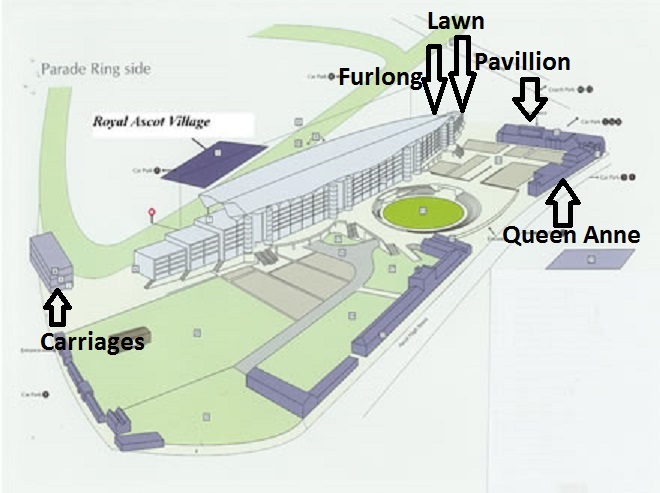 A new facility built in 2016 for Royal Ascot. Situated in a private enclave of the Queen Anne Enclosure this beautiful marquee offers informal dining in an intimate setting just metres from the track, at the end of the grandstand, overlooking the final furlong marker. A relaxed informal atmosphere which provides casual seating, however guests will be allocated a designated table. This is a beautiful venue with uninterrupted views, a private patio area as well as decking towards the railings from where guests can comfortably view the racing. A modern informal dining area set within a beautiful track-facing marquee. 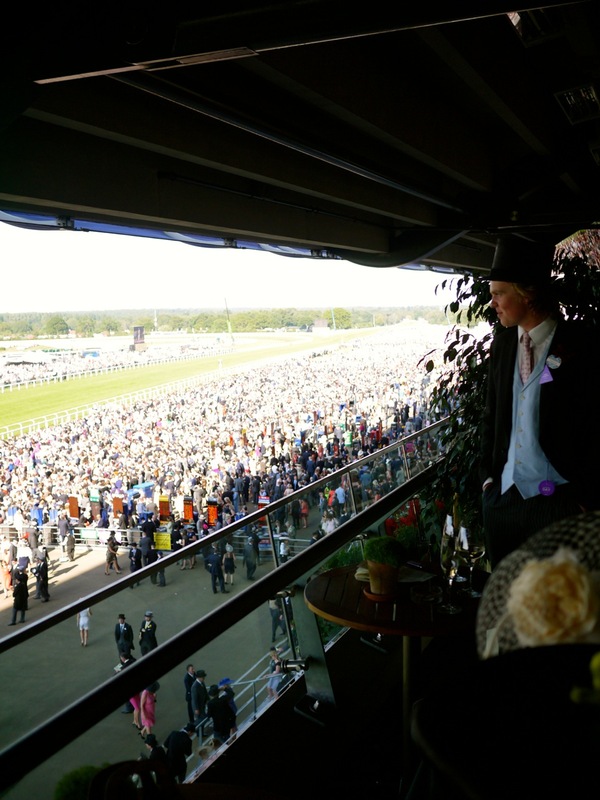 Elevated decked terrace overlooking the home straight to view the Royal Procession and all the racing action. 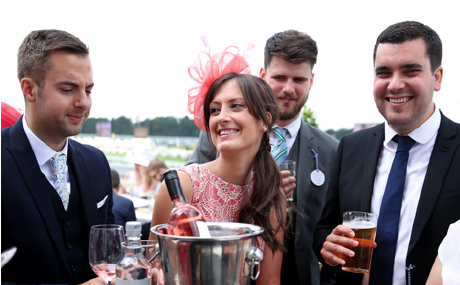 The perfect base from which to enjoy the Royal Meeting with access to the Queen Anne Enclosure facilities, stroll to the Parade Ring and Winners’ Enclosure to view the horses and soak up the unique atmosphere as the winners return. Join in the traditional singing around the Bandstand, an Ascot tradition not to be missed. Live DJ playing throughout the day and after racing. areas and an expansive, elevated deck running its entire length. A stylish space in which to relax and enjoy fine views and pleasures. 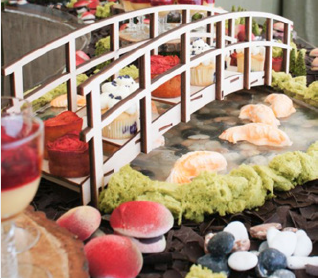 A combination of grazing and seated menu concepts create the relaxed Furlong Restaurant experience, where appetisers on arrival and a traditional main course meet the theatricality of live cooking and edible dessert stations. Bespoke marquee in an exclusive setting at the east end of the Grandstand, before the Winning Post. 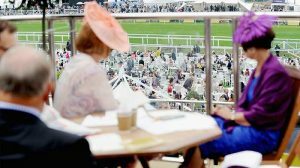 Extensive private terrace, with plentiful seating and uninterrupted views of the finishing straight; a wonderful vantage point for the Royal Procession and all racing action. Soak up the sights and sounds of the wider Royal Meeting, with access to the Queen Anne Enclosure facilities as well. 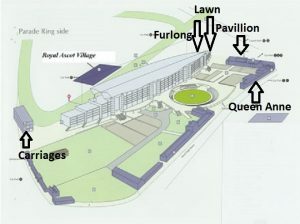 Enjoy viewing the horses in the Parade Ring and the traditional singing around the Bandstand, both an easy stroll away. The Hospitality Broker offers a range of exclusive hospitality packages at Ascot Racecourse. Whether you want the best of the best in a luxury box or the more relaxed atmosphere of an open restaurant we can provide the right package at the right price.